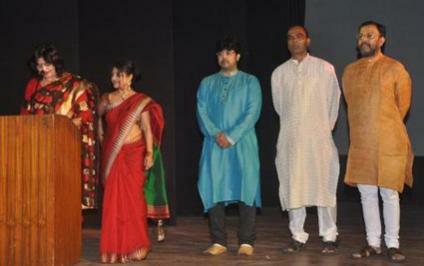 Kalajyoti was established on 7th January 2000 in the South 24 Parganas, at Zilla Rajpur-envisioned by the Internationally famed Odissi exponent, Choreographer and Guru ------Smt Monalisa Ghosh, supplemented by the joint efforts of a small group of like minded individuals - stalwarts from the field of Bussiness world, Classical Vocal, Architect and famed professionals ,who in spite of their busy schedule, dedicates their leisure in preserving the vision .A small plot of land was acquired in the outskirts of Kolkata, with a dream to fill the minds of the youngsters with wholesome cultural and literary engagements in a world of Blood, Terror & Death. Kalajyoti is a Gurukul for Indian Classical and Traditional Performing Arts -Far From The Madding Crowd, at Rajpur , Charaktala, surrounded by greenery – A semi urban area – Kalajyoti forms the perfect ambience for a meditative Indian Classical Dance and performing Arts training centre where art and culture is rejuvenated, preserved and spread among eager and talented students ,and also for those who are deprived of acquiring authentic training due to financial challenge, and lack of opportunity, at this small corner! 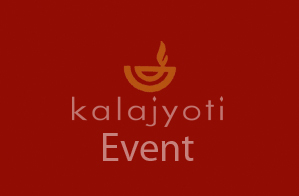 Kalajyoti harmonizes the value based education of the ancient Gurukul system with the modern technique to suit the contemporary world, hence it is unique in it’s category!